We have a wonderful music ministry here at Faith UMC! We are always looking for vocalists and anyone who can play an instrument. So, if you have a desire to praise the Lord through music, please feel free to drop by any of our practices! We meet every Wednesday evening in Fellowship Hall. Bell Choir: 6:00 - 6:30 p.m. 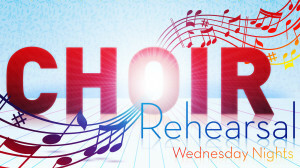 Faith Singers: 6:30 p.m. - 7:15 p.m. Faith Choir: 7:15 p.m. - 8:00 p.m.